Stretching from the Junction in the North to Holyrood in the South, the mile or so in between contains just about every chain bar in the country and all on the main thoroughfare of the City. 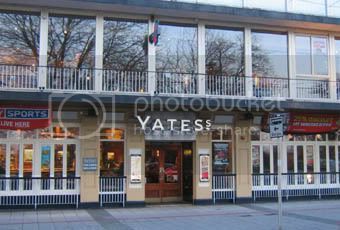 Yates, Flares, Que Pasa, Walkabout, Hogshead, you get the idea, walk down the main drag in Southampton and it has the same names as every town centre n England, in truth its party central but sadly has all the attendant qualities of the binge drinking culture it has been built on. 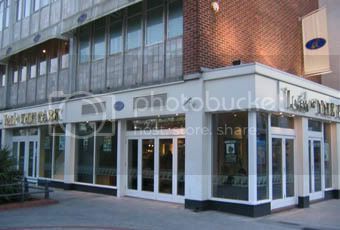 But there are some little gems scattered around if you look hard enough, behind the Square a big converted theatre with overpriced drinks is the Soul Cellar a smallish venue that as the name suggests has a nice vibe in soul music. Just behind JB Sports is the Firehouse a haven for heavy rock music, although bars off of the main drag are few and far between so dont look too far. Past the Bargate (the castle thingy at the end of the shopping precinct) is Jongleurs and then you come to Walkabout and several other bars of various and varying quality. In truth you know what you are getting with the City Centre, like Leisureworld it offers a pre manufactured atmosphere, if you like Walkabout in say Birmingahm then you will like it in Southampton, most of the places open till 3am and apart from Flares most have no queues or quick ones at least.